In this fun class, Jill will help you create a cute bag to use for sewing. 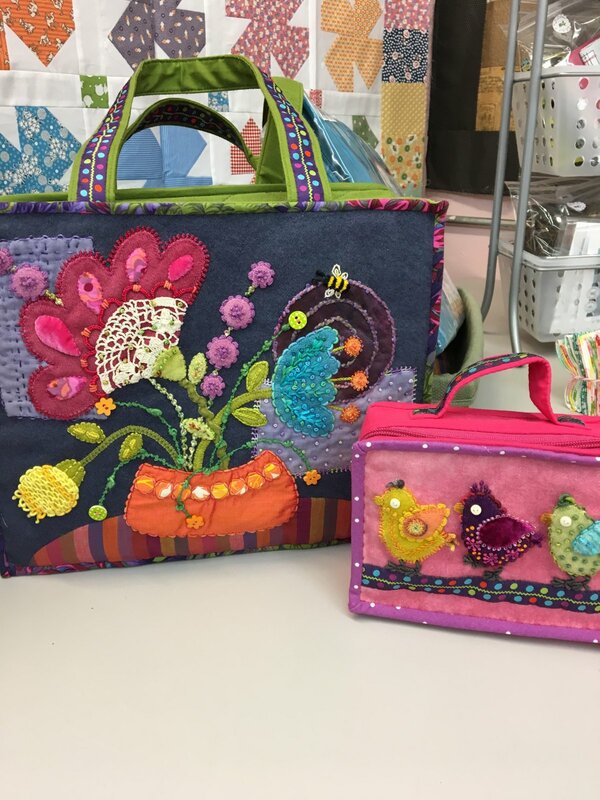 You select the bag, and Jill will help design a cover and recommend embellishment stitches to make your bag a one of a kind. All applique is done with wool. We stock several style of bags to choose from. We are an authorized Yazzi Dealer. Check them out here!